4127 N Black Point Rd. 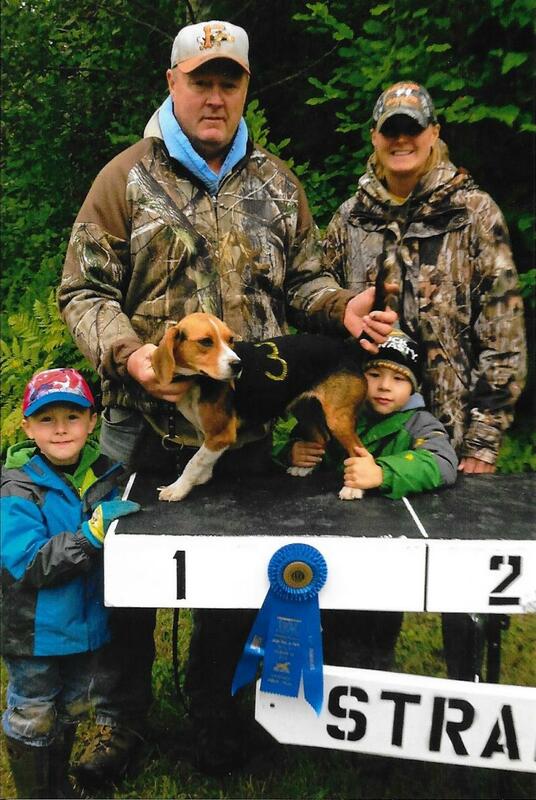 On November 30, 2014 our great female "Big Creek Nobarz" proved herself as a world class hound by finishing her Canadian Kennel Club Field Champion title at the Oshawa Beagle Club. This finished her quest as she became an International Field Champion. 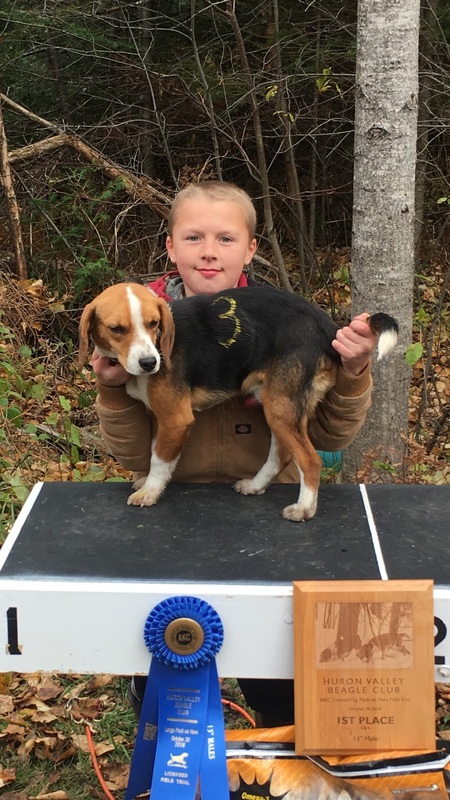 She finished her AKC title in October of 2013 at the Huron Valley Beagle Club. Special thanks to great friend John DeWyse of the famed "Big Creek Kennels" for giving me Nobarz as a young hound and knowing full well her potential.
" Black Point Nice Cream Sundae"
trial wins at 25 months of age. In 2015 Sunni made history. 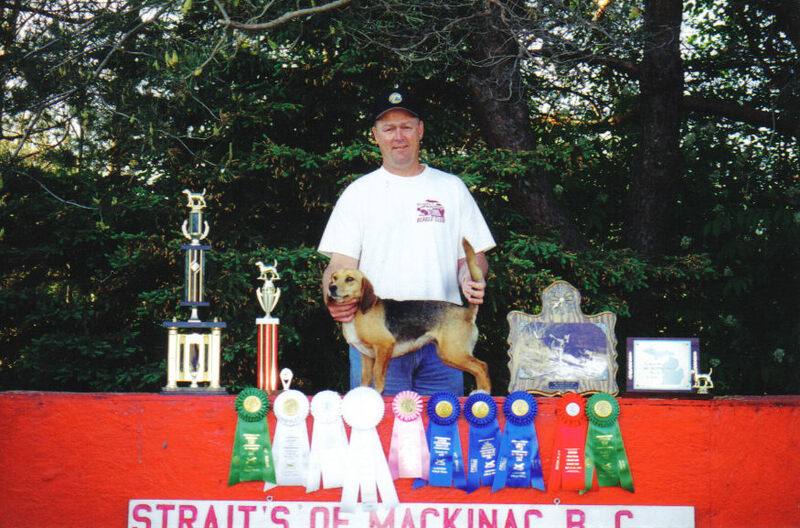 She won 5 more AKC licensed field trials to become an AKC Field Champion. She also won the 2015 AKC National Championship 15" Female class. 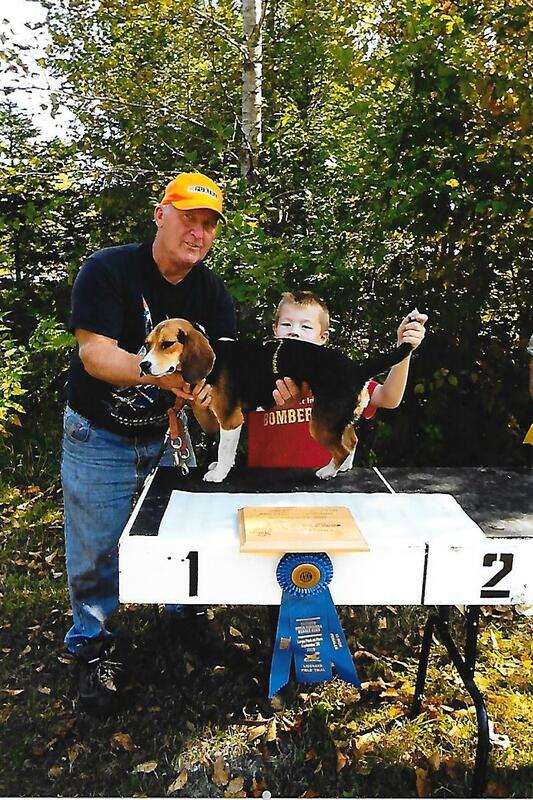 She is posed with grandson Hogan and John Dahn "The Beagle Man"
In 2015 she become an AKC Field Champion & also won the 2015 AKC National Championship 13 " Female class. She has won about everything there is to win along with the national championship, she won 2015 Michigan - Wisconsin Winners Stakes & 2014 Michigan- Wisconsin Derby Championship. Placed in 10 out of 13 field trials entered; Won or placed in every snow trial ever entered! 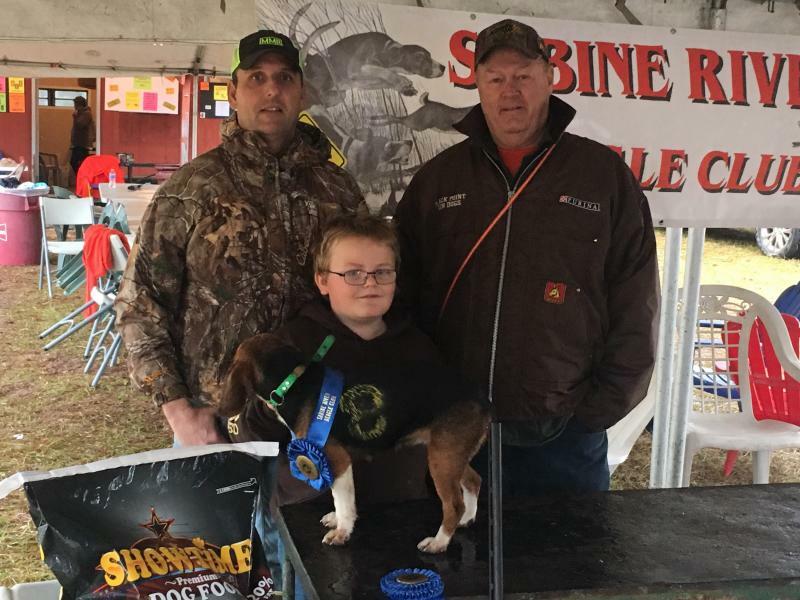 Field Champion "Black Point Hot Spuds"
Field Champion "Black Point Cream De Menthe"
With a first place finish at the Sabine River Beagle Club in Amite, Lousiana. Shown with good friend Chad Breaud. Handled by southern handler Elijah "Amos" Griffin, and myself. 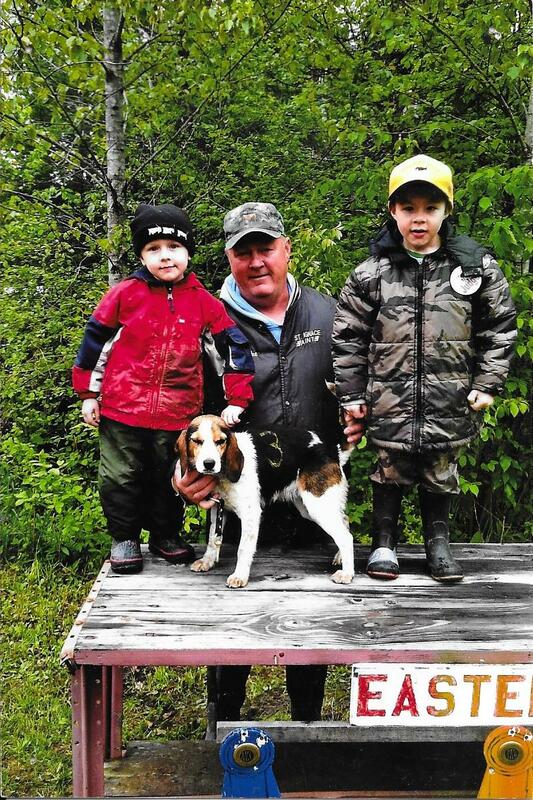 ﻿"Colt's Black Point Hunter "
My Grandson Colt's pride and joy. Hunter had 2 AKC wins in the first 3 trials entered at 15 months old, running against all age dogs!